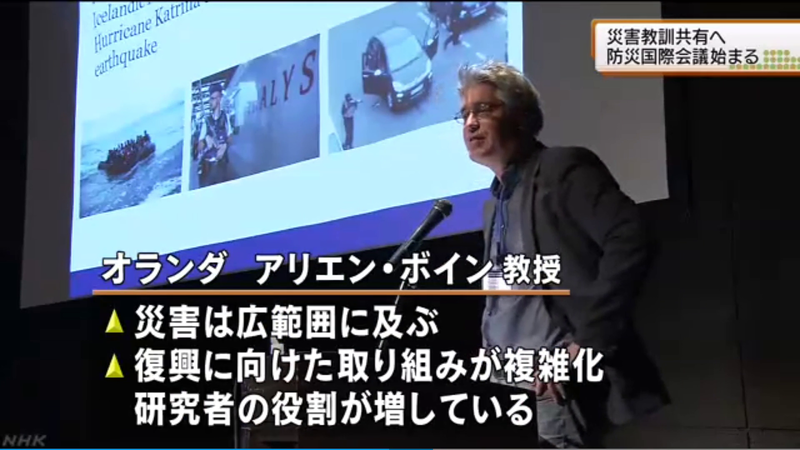 Last week, Arjen Boin attended the second conference of the International Network of Disaster Studies in Morioka, Japan. He shared his insights on the Transboundary Crisis: crisis which will be hard to manage in the near future, due to the complexity of our systems and agreements, quick escaltaion phases and the absence of clear (policy)domains in which the crisis unfolds. The conference theme was Landscape-Scale Disasters, Emergency Response, and Regional Recovery. Arjen learned more about the resilience of local communities at the coast during the aftermath of the 2011 tsunami and nuclear disaster.